DVOŘÁK - svahové sekačky Ltd. (DVORAK - slope mowers) was founded on July 1, 2004 by its current owner - Mr. Lubomír Dvořák. The patent protected remote controlled mower SPIDER is the dominant product of the company. Due to revolutionary design of our product we hold a very special position at the municipal equipment market. During the first year from the launch of serial production we have won appreciation and respect of both consumers and specialists throughout Europe, USA and Japan. During the following 10 years we added several new machines to our product portfolio and expanded the sales network to almost 50 countries all over the world. We strive to create and produce new products with high design and aesthetic standards. The satisfaction of clients is our primary goal. We are expanding our distribution network to more than 50 countries. We are finishing the production facility in Svatá Anna. New production facility officially opened. Company grows over 30 percent p.a. in 3 consecutive years. We were awarded the price Vodafone Company of the Year 2015. We have obtained patent protection for a unique mowing system. For the first time in history we produced 400 mowers per year. We acquired the new distributor for Great Britain and Canada. We launched the worldwide Mow-on Lisa campaign, which has seen over 90 million people around the world. 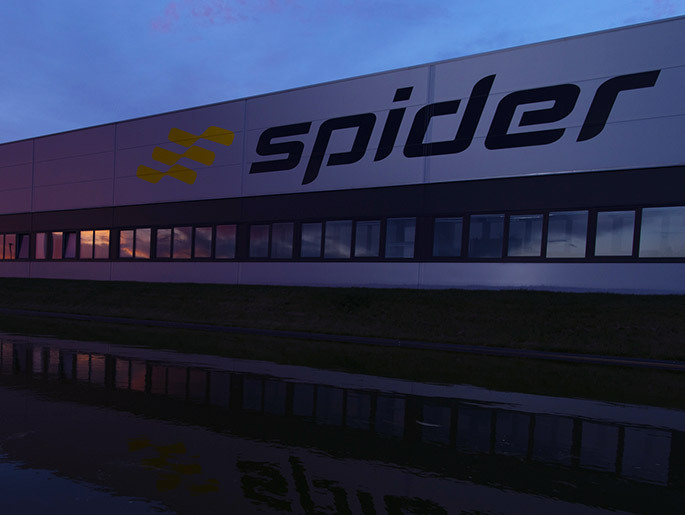 We are opening our first sales and repair & maintenance SPIDER center in Vsetin. Innovation of the production of radio controlled mowers was carried out with the use of funds from the EU structural funds through the Operational Program Enterprise and Innovation under the responsibility of the Ministry of Industry and Trade of the Czech Republic. The R&D of a new type of SPIDER mower with significantly improved technical parameters, reduced ecological and noise load, safety for the operator and the environment is part of the SPIDER E-MINI project co-funded by the European Union with the help of the Operational Program Enterprise and Innovation for competitiveness. Thanks to its high innovative potential the company DVORAK - svahove sekacky Ltd. has been awarded many patents in various fields of engineering. Even the unique drive system of Spider mowers has been awarded a patent in the USA, Japan and the European Patent has been validated in 16 countries. The hydraulic stabilizing winch was patented by the Industrial property office in the Czech Republic. The patents are part-financed from the EU structural funds. and surrounding nature and the natural communion with nature.